One of the key roles of an engagement broker is to support researchers to develop their own public engagement skills, competencies and plans. Below you can find out the key things you might do to offer this type of support within your own context. Engaging researchers is just like any other engagement project – you need to know why you are doing it, and take time to understand the people you are seeking to engage with. 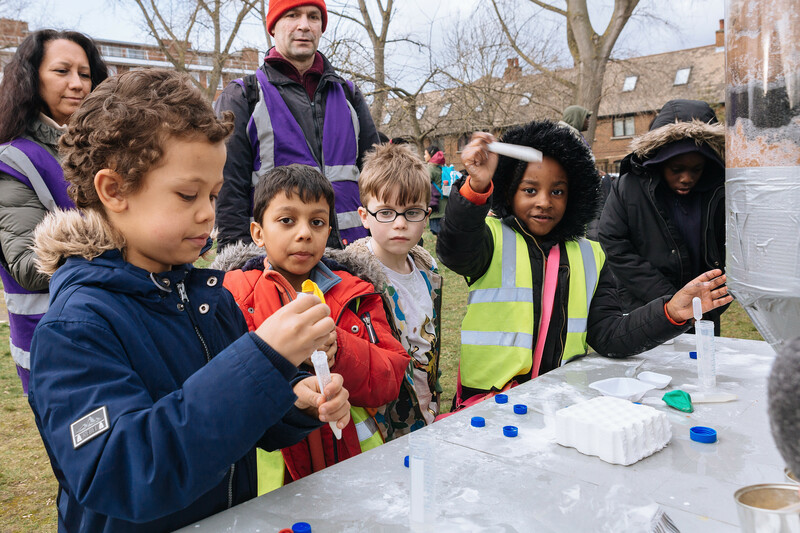 Public engagement is differently understood and differently valued by individuals, and therefore it helps to spend time listening to how people are making sense of their research, and if and how engagement could play a role. Therefore understanding the researchers you are going to support is an important first step. Do not underestimate the value of spending time talking to people about their motivations, their research, and if and how they make sense of engagement. Being curious about people’s research can open up new ideas for how they could engage the public with their work. A key role for a public engagement professional is to support high quality engagement. Having some guidelines to inform your approach to training and support can help enhance quality, and also enable you to offer explicit criteria when offering advice to others. Using these criteria consistently over time can make a real difference. Celebrating quality through prizes, or funding awards, or sharing it on the website and newsletter, can lead to change across the organisation. It can also be more effective than immediately tackling examples of poor quality engagement! The term public engagement is understood differently by different people in different discipline areas. For instance, in health research public engagement is usually interpreted to mean the dissemination of research outputs, as opposed to ‘public involvement’ which seeks to involve the public in the research process. The NCCPE’s definition emphasises the importance of mutuality, and of listening as well as sharing. As a public engagement professional it is important to explore what public engagement means in your institutional context, and to work with colleagues to develop a definition that captures your collective ambition. A shared reference frame helps inform conversations about it and helps you develop a focused strategy. Our ‘Developing a public engagement strategy’ guide provides examples of how different universities have chosen to frame their definitions. It is critical to support engagement skills development, through a range of mechanisms. CPD is often thought of as training courses – but this is only one mechanism that can provide the types of support your researchers need. You can find out more about how to develop your approach on our supporting training page. Bringing people together, to reflect on their engagement work and to learn from others, is a great way of building capacity for engagement. This might include developing informal networks; running an annual get together to showcase practice, and to develop and enhance collective learning; or running monthly lunch time sessions where people can share their work. These sessions are part of the CPD offer you might want to develop. You can explore other ideas by using our ‘learning’ mini-EDGE tool and resources. Key to high quality engagement is the strategic and effective use of evaluation. There are two challenges here for a public engagement professional. One is to build a culture with your researchers where high quality evaluation is practised routinely to improve the quality of their work. The other important thing to do is to invest in evaluation to improve your own practice and to reflect on the success of the support programme you are offering. We offer tips on how to evaluate your support programme. Universities who have developed a supportive culture for public engagement have found the following mechanisms useful. Pilot funding scheme: offering small seed corn funding for new projects has a range of benefits. Researchers develop confidence in engagement, and become more engaged; the funding criteria help to stimulate discussion about what makes quality engagement; new projects emerge that can be talked about and shared; often projects are then developed with external funding; researchers involved become ambassadors for engagement and the work of the public engagement professionals. Award schemes: Whilst not everyone is motivated by getting a prize, some people really value having recognition for the work that they have done. Award schemes can have a range of benefits: finding excellent examples of public engagement across the institution; raising the profile of public engagement and the support offered by the public engagement professional; getting senior staff involved as judges to excite their interest in the potential of public engagement; providing case studies of practice; recognizing and rewarding researchers, support staff, and partners. Senior advocates: Never underestimate the importance of having advocates for engagement at every level of the organization. Colleagues have found that academic champions are particularly helpful when you are trying to encourage the research community to take engagement seriously. It is particularly wonderful to find a sceptic academic who is well respected, who has been convinced by the relevance and value of engagement, and is keen to share this newfound passion with others. This page is the tip of the iceberg – as there are lots of approaches you might take to supporting your researchers. Our mini-EDGE tools provide structured way of looking across all aspects of your support programme. You could also explore our ‘Pathways to Culture Change' report which tells the story of how 10 RCUK funded Catalyst Seed Fund Projects developed effective support for researchers. It is full of tips and advice about ‘what works’. If you want to develop your approach in any of these areas, get in touch and we can share resources we have developed to support you.